Sy Middleton, a teenager living in Manhattan, enters a secret world when he is initiated into Earth-tribe and becomes a Triber. In the Middle Realm, Tribers from Earth-, Fire-, Air- and Water-tribe train to enhance their powers and compete in monthly Lunar Festivals. You can make a difference in this world, every good deed counts. Powers are to be used with discretion. Intent to fatally injure another is forbidden. Tribers © K.N. Vogel. All Rights Reserved. 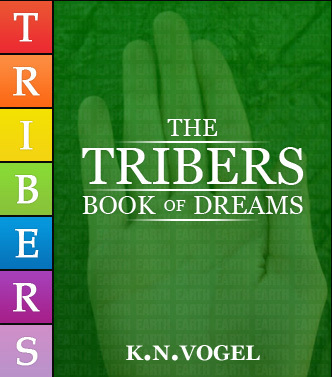 Tribers characters, names and related indicia are trademarks of and © K.N. Vogel.